For a safe, integrated way to have a boiling water tap, it has to be Quooker, experience the difference in the Just Kitchens Showroom today. You can choose between a separate boiling water tap with accompanying mixer tap, or the new Quooker Fusion: a single tap for hot, cold and boiling water. Ultra-safe, super-efficient and available in eight tap designs and three finishes. The tap that immediately dispenses boiling water, from on the worktop with a tank underneath. A 100% Dutch invention taking over the world. And of course, many, many more. You can save water by generating both hot and boiling water in a single compact tank under your worktop, the COMBI eliminates the need to pipe hot water all the way from the main boiler to kitchen sink. No more running the tap for ages to get hot water and you’ll see big energy savings too. 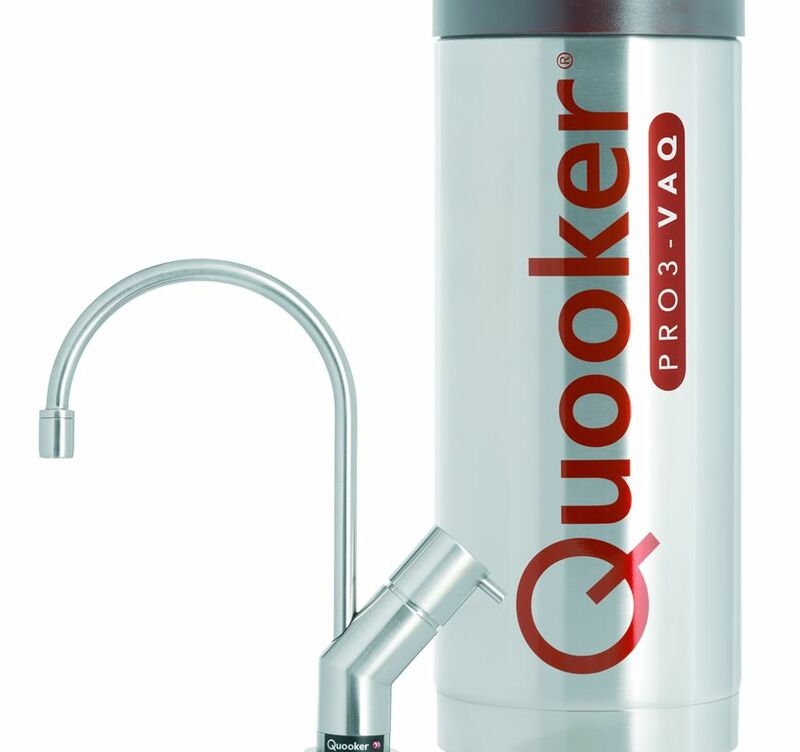 With the Quooker's perfect high-vacuum insulation means that it only cost you 3 pence a day to have boiling water at hand, exactly when you want it and how much you want it. And you will really save money if you choose the COMBI tank, which supplies all of your kitchen’s hot water too. With these innovative safety features, Quooker makes the boiling water tap a practical and safe alternative to traditional boiling water methods.